For want of the rider the battle was lost. For want of the battle the kingdom was lost. Memory is identity. Without memory, without a record of what we’ve done and thought and said, what we’ve heard and seen, a human exists only as a thing, as foreign to itself as it is to those who pass it on a busy city street. Know thyself, said Socrates. But to do that we must have memory. Our memories are the building blocks of our identities. They are what make us unique from others, they guide us as we mature. The sunny ones bring happiness and cheer on dark days, the dark ones help to keep us from suffering through repeated error. History is our word for our collective memory as a people, a culture. To our personal memories it adds the experiences shared by our ancestors. Whether we absorb it from tales told around a winter fire, from lectures, sermons or books, it gives us context; it connects us to our fellows, expands our personal identity and that of our immediate family to embrace our neighbors, our ancestors. It gives meaning to the buildings and streets that surround us, to the art and architecture of our cities, to the songs we sing, the movies we watch, the stories we repeat. It gives us something to be a part of, something bigger than ourselves. Know thyself, said Father, quoting somebody he called Socrates, but who was that? The Greek who used to cut his hair? Without the shared memory we call history, we’d never know. History is the story of humanity. While science, religion and philosophy all attempt to explain a great deal more than just who we are, history is focussed on us, on what we have done, with, to, and for each other. And at the center of that “we” is always some central figure, some human being whose name and life story are central to a particular area of our shared memory, a story that holds meaning for a particular community, culture, religion, philosophy, the leader, the ground-breaker, the pioneer, the genius whose name we connect, not just with the history of whatever it was they invented or discovered, but the thing itself. All history, be it the history of France or the American car industry, revolves around the name of its creator. Without that name it’s a story without an opening chapter, an adventure without a hero. If for some reason the name of one of these pioneers gets lost, the entire history of what they found or created can get broken into pieces and dispersed, skewed, distorted, minimized, misunderstood. If somehow we had lost all evidence of the life of Alexander the Great, to what would we attribute the spread of the Greek language over the 500 years from 300 BC to the rise of Rome in 200 AD? What would the history of mathematics look like without Isaac Newton? The history of the Russian revolution without Karl Marx? The history of aviation without the Wright brothers? The Blitz without Churchill? The Cold War without Stalin? Hard as it may be to fathom, this is exactly the problem we have with the history of today’s English language. It’s Greek without Homer, Christianity without St. Paul, Existentialism without Sartre. In fact, it’s more than these, for the loss of the story of Shakespeare not only skews and disperses the history of English literature, it’s lost to the history of England the most important of the pioneers of the sixteenth century gathered at the Court of Elizabeth. It’s skewed the history of the language itself. It’s plunged into darkness the bloody birth of the modern media (the fourth estate of government) and modern humanity’s first painful steps towards a functional democracy, of all these stories the most important today, not just to the West, but now to the entire world. What the man known by the pun-name Shake-speare did in the sixteenth century has never been fully understood because, for reasons of political and economic expediency, his primary achievement was passed along by contemporary politicians and historians to an undeserving front man, one whose modest story has skewed this era in English history so badly, that, deeper than ever did plummet sound, it’s buried the truth about these things for over four hundred years. And all for the want of that horseshoe nail, his name. This entry was posted in Authorship Question, mumming and disguising, political repression, Shakespeare Authorship, the London Stage, theater history, Who wrote Shakespeare and tagged authorship question, Elizabethan history, English history, Shakespeare cover-up, theater history. Bookmark the permalink. Eloquent as always, Stephanie. Count me among the first to buy any book you might write about the SAQ (hint, hint…). A heartfelt thank you for this. Your name will be a major part of Oxfordian history. Wonderful clarity of thought about what history is. Bravo for this. By the way, the rhetoric of that “For want of a nail” passage would probably have been identified by Sister Miriam Joseph, an expert, as the figure of speech called climax, or gradatio, with its “House that Jack Built” strings of repetition. A very Shakespearean device: I wonder where the original poem comes from. Fantastic analysis, which crystallises almost precisely my own thoughts. 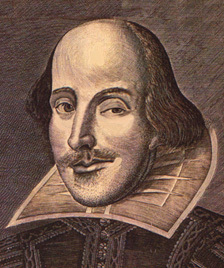 The obscuring of the origin of the Shakespeare canon, and as a corollary the very origins of the English language as it came to exist during the transition out of medievalism, has, as you say, led to compeltely bankrupt “history” of the country (if not of Western civilisation itself). I maintain, only partly jokingly, that there are two basic modes of thought when trying to understand and reconstruct the past; ‘coincidence theory’ and ‘conspiracy theory’. The latter is the ruling paradigm. At times it’s hard not feel that a conscious, dark agenda is at work, deliberately shredding our memory of the past, and substituting a bogus, fake “history” in its place. Otherwise, one has to accept that it is simply the result of an inclination to collective patho-pyschology, which (it seems) is the only other explanation for such wilful ignorance. There is certainly a dark agenda at work, mostly political in nature, but it’s generated by the fears and demands of humans, not by the Devil. Luckily, due to the printing press and its electronic offspring, records now are kept on such a vast scale that the truth generally remains; the problem, if there is one, is only having enough brains and interest to dig for it. Time is the tool of the historian, Time and documentation. Now that so much is available online, it is no longer necessary to travel to the British Library in London to get one’s ducks in a row. Books and documents that formerly could only be viewed in an exclusive Library can now be read online. We have a whole new wave of historical review ahead of us. This is only the beginning. The problem that will never go away is the fight for control of documents. The one great control over Oxford/Shakespeare’s pen was the Cecil family, who had any number of potent reasons for not allowing him to get produced or published, plus the power to stop him. Had he not been connected with them through dynastic marriage, his rank their ticket to the peerage, he would probably have suffered the fate of so many of their enemies. That this led to a showdown in 1596-97, and that it ended in a draw that has been maintained ever since in English letters, is a story with so many layers of irony that it truly deserves an appropriate treatment.